Tongue Tied: Should You Learn the Language Prior to Going to a Foreign Country? Going abroad for travel or work purposes? You might have asked yourself in the past whether it’s worth it to spend your time and effort learning some of the local language before setting foot there. 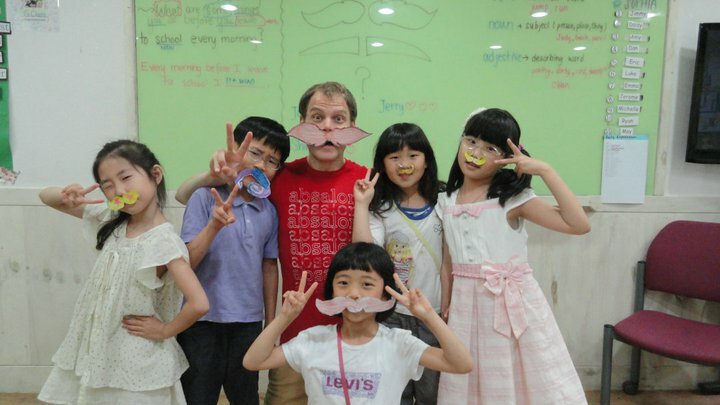 Today’s guest poster will try to answer this question and, along the way, will share his experience living and working as an English teacher in Korea. 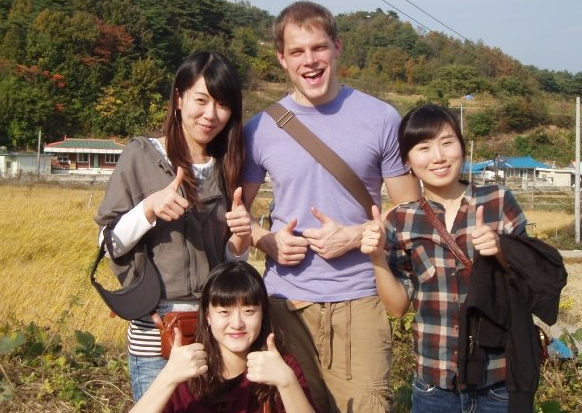 After obtaining degrees in English Literature and English Secondary Education, Sean Lords packed up his bags and left to Seoul, South Korea, where he lived for three years teaching English abroad. 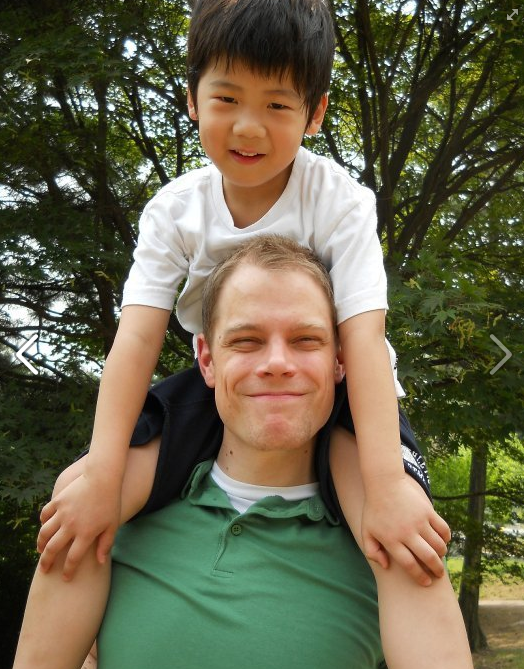 Sean has since returned to the States and is currently at work on his Master’s degree. It is always frustrating to be sitting in the middle of a conversation you are unable to participate in because it is occurring in a language you don’t speak. If I don’t know what others are saying, could they be talking about me? Are they relaying some type of message that, for whatever reason, they are reluctant to directly tell me? These are probably unwarranted concerns, but ones I had before teaching English abroad. And while many international programs specifically do not want you to speak the native language so that students will be challenged to exclusively speak English while in class, I knew I would feel more comfortable if I learned how to speak the language before I left for South Korea. Due to time constraints, I didn’t want to (or couldn’t) take a traditional language course—so I attempted to teach myself. After asking myself what the most efficient and effective way of learning a new language was, I knew that going to the actual country and enrolling in a course with one-on-one assistance was unquestionably the best method. The consensus among my friends who also speak a second language was the same. After eliminating this as an option, I was forced to look at alternative solutions. I started using a software program called Pimsleur. I simply internet searched for the most effective tools for learning a new language and Pimsleur was one of the most highly-regarded of these. I’d also read about it in Let’s Explore Diabetes With Owls, a new (and hilarious) book of essays by David Sedaris. To explain: Pimsleur is simply an audio CD which goes through conversational phrases and words within the language. It’s a little cheaper if you buy the digital version, and either will do. I burned each of the lessons to a CD and popped in the lessons to and from work (a 45-minute drive each way). This really helped as an introduction to the language I wanted to speak. Next, I used Google translator to translate some news articles to the native language to familiarize myself with the native alphabet. It was nothing too in-depth but I really wanted to get accustomed to seeing different characters and symbols, and some of the words I recognized these characters from. Many Asian languages are tough, so I can’t speak for trying to learn Mandarin, Korean, or Japanese via this method but it could potentially work. I know Mandarin has several thousand different characters, which is much, much different than the number of characters in the Russian or English alphabets – 33 and 26, respectively. There are few things as scary as that moment when you step off an airplane in another country—imagine then, that this country doesn’t speak English or use an English alphabet. Enter huge, massive fear. Those first moments in South Korea were terrifying, sure. But more than being scared, I felt a sense of massive excitement. While Pimsleur didn’t make me fluent in the language, I felt a sense of familiarity with the sounds I was hearing. I was also able to greet my peers, colleagues, and students in a language they were familiar with. I may have been kidding myself, but it lent me a bit of instant credibility in their eyes. My admittedly poor language skills were still skills, and they gave me the confidence I needed to excel in other areas of my new life. In restaurants, I ordered food by attempting to pronounce the name, and not simply pointing. In the classroom, I developed better relationships with my students who were approaching English language learning in much the same way I approached Korean—an initially rudimentary understanding based mostly on repetition. Though I was never in an emergency situation, I am confident that my language skills would have kept me calm and provided me with the tools I needed to get help had I been an unfortunate travel story. While there are many times when things get lost in translation, there is something to be said for attempting another language, no matter your success rate. Although many programs do not require that you learn the native language of the country where you teach ever, I found that it was exciting to more actively participate in the culture of a country I would (for a bit) call home. Have you enjoyed this article? If so, don’t forget to share it with your loved ones on your favorite social media website (see just below)! 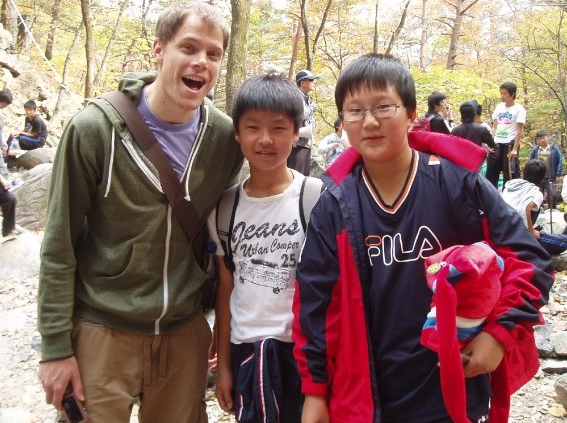 If you have any questions about living and working in Korea as an English teacher, or perhaps about Sean’s experience learning about a foreign language prior to going to the country, don’t hesitate to leave a comment down below. I’m sure Sean will be delighted to answer all of your questions! Did you get the job teaching English through a program (like EPIK)? Hi, I’m Polish, I’ve lived in Spain for almost one year now, so this topic is very familiar to me. What I’ve noticed is that people believe you will learn a language- fast and effortlessly- only because of the fact you live in a foreign country. What’s more, many times they treat going abroad as a some kind of excuse “I’ll never learn a language unless I go abroad”. Ok, but is only a partially true. Of course, thank’s God, we have a brain so sooner or later we learn most of the things we need to survive, also a language. But it isn’t such an easy process as they think. Why? 1. We can’t be sure if we will be surrounded by natives, even living abroad- our flatmates, college students (if we go as an Erasmus student), co-workers (if we want to find a job) can also be foreigners who are there for the same reason as you -to learn a language. So you can get much of incorrect imput. 2. You will learn many colloquial, daily expressions -it’s great! You will get more fluency- it’s great! You will feel more selfconfident and be able with your language knowledge to defend in every situation- it’s great! But it dosn’t mean you will know a language well. Unless you plan to live abroad for many years or study hard, it won’t happen. 3. “Easy come, easy go”- after a stay abroad you will come back home. And your language skills will begin to decrease very fast. It won’t happen the very next day, but I can assure you that 3-4 months later you’ll see a difference. If you don’t work constantly on your goal, finally you’ll lost what you’ve already achieved. I can’t deny going abroad is a great opportunity to learn a language. The only thing I want to say is that going abroad won’t solve all your language problems in a magical way. We live in the world of resources (TV, Internet, great books and dictionaries, mp3, language blogs, language forums,language learners communities, etc.) so it makes easy to reach a good language level even without going out. If you have some basis, you practice and understand a lot then going abroad will accelerate the process, otherwise you’ll feel disappointed or frustrated expecting fast progress. Take care Sam, I love your blog! Amapola, I couldn’t agree more with you! I think a lot of people have this illusion that going to a foreign country will somehow magically make you fluent. From my personal experience, living in the country that speaks your target language has meant working even harder than ever to constantly increase your level, meet people outside of the expat circle, and make efforts to step outside of your comfort zone and look like an idiot at times. As you said, going abroad won’t solve all your language problems, very far from it! I like to harness the pre-trip energy and excitement by learning some of the local language. So I say yes, learn first! Your hosts will definitely appreciate it! Definitely! I think a trip abroad is actually a fantastic motivator to push yourself to put in the time required to learn the language (at least the basics). And once you get started and build up some kind of routine, it’s much easier to keep going. It’s all about setting clear goals, finding what really lights up a flame inside of you, and developing a daily routine! I agree it most sense to tackle at least the basics beforehand. As Sean in the article and Stephanie in the comments mention, you can use this to your advantage in the early, enthusiastic days to give yourself a push forward. I didn’t really have the chance to do this before I went to Vietnam and while I learnt the basics as quickly as I could in the first few weeks and months – it would have been so much better to have learnt those new words and phrases first and instead focused on putting them to use and immediately building on that. I felt like I didn’t make the most of that precious in-country time in the beginning because I was starting from scratch. It’s a mistake I (hopefully) won’t be making again! Thanks for sharing your experience with us, Ruth. It’s good to learn from people who have made some mistakes and who are best placed to help others not make the same ones! I arrived in Korea with a low-intermediate knowledge of Korean, and I cannot emphasize enough how much I have benefited from that. I also think that you definitely do not need to be in the country that speaks your target language when learning the basics. But past an intermediate level, it’s really nice to be able to use the language on a daily basis. I learned French in High School, where we read the entire book “The Count of Monte Cristo” in French. When I go to Québec, I have no problem conversing in French. If you studied French, and go to Québec, and can’t understand a word they are saying, the problem is not, as many of my friends say, that “they don’t speak good French in Canada”, but that American language teaching is inadequate. Wow! That’s amazing. You definitely made a good impression on the Italians! Based on my experience living in Japan and China, and Benny Lewis posts about Taiwan, I’m convinced it is MUCH better to learn the language before you arrive. Sound advice! I think it is definitely helpful to learn at least some of the language before you arrive. It makes the integration process much smoother too, as you’re already somewhat familiar with the culture and you can actually communicate to a limited extent with the locals. I traveled to Argentina to learn Spanish and teach English. I had a great experience but learning the language was never easy. I took lessons at a classic Spanish School called Vamos Spanish Academy and it took me about 6 month of Spanish immersion to become fluent. I agree with Amapola, some people believe that learning a language es easy, but the reality can be quite different.